No one notices when you do it, but everyone notices it when you don't. Well, ain't that the truth?! 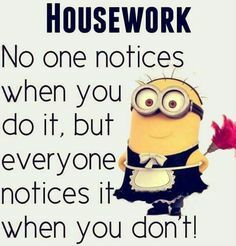 keeping up with Housekeeping chores can certainly feel overwhelming at times. 1. Having a checklist will provide peace and assurance you've got a PLAN toward achieving all that you need to accomplish. 2. Checklists provide a strategic and organized approach to accomplish your various tasks by allowing you to focus on ONE task at a time. 3. Using a checklists provides an instant sense of success and accomplishment by having a visual 'pat on the back' as you mark off tasks as they've been completed. 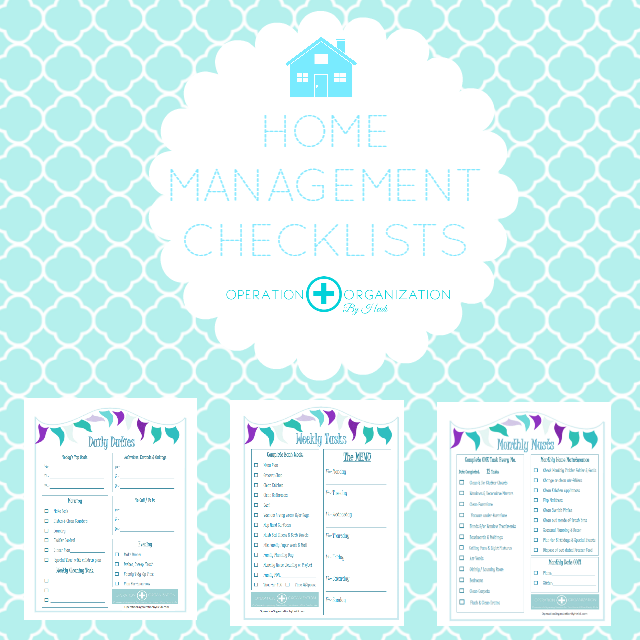 Operation Organization by Heidi Home Management Checklists are now easier than ever to print and download! CLICK HERE to get yours now and enjoy a more peaceful and organized approach to Housekeeping! https://myjobchart.com/ can be a fun tool to help track their efforts.